Fabulous Antique Silver Mounted Carved Horn Spoon. Makers Marked Slightly Rubbed but indicates being made between 1912 & 1921. 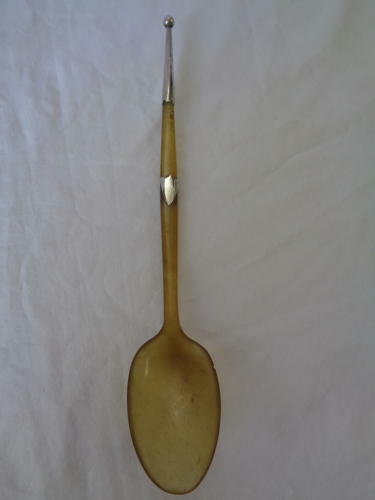 Measures 20cms in length, Spoon width 3.25cms. The Spoon Bowl has a small chip which is clearly shown in our photographs.